Increase your knowledge and find out the differences between mechanical and inflammatory back pain. Back pain is very common and has many different causes; at least 1 in 5 people live with lower back pain that lasts for at least 3 months.1 In most cases, the pain is mechanical, but up to 3% of adults, suffer from inflammatory back pain.2,3 Both types of pain can impact your quality of life and may limit your daily activities. 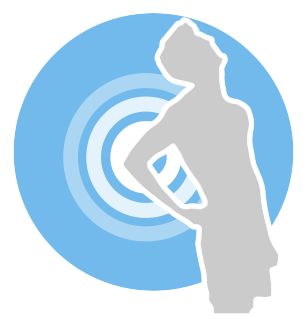 Although there are other types of chronic back pain, this website focuses on inflammatory back pain and how it is different from mechanical back pain. Although they can feel similar to one another, chronic mechanical and inflammatory back pain have different causes and may need to be managed and treated differently. Don’t ignore your back pain – Don’t turn your back on it! 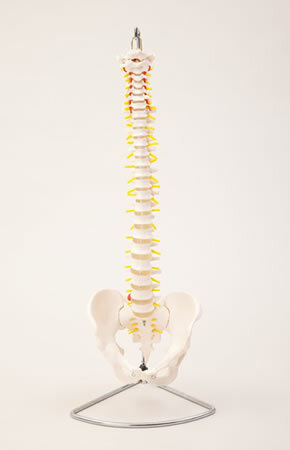 Mechanical back pain is the most common form of back pain. This type of back pain is often due to heavy or incorrect lifting, strain or sports injuries, which cause damage to the bones and surrounding structures that form your spine. A proper diagnosis and treatment plan from your doctor will help to manage symptoms over time. Many people mistake inflammatory back pain for mechanical back pain. They don’t realise that their pain may be the result of an underlying condition. These conditions can get worse over time, which is why it’s important to manage and treat them early. Find out the likelihood that your back pain could be inflammatory in nature by answering these 5 questions. Hamilton L, Macgregor A, Warmington V, et al. The prevalence of inflammatory back pain in a UK primary care population. Rheumatology (Oxford) 2014;53:161-4. Cohen SP, et al. Management of low back pain. BMJ. 2008;337: a2167.